Stream 15 selections from Bruce Springsteen's The Promise: The Darkness on the Edge of Town Story right now. 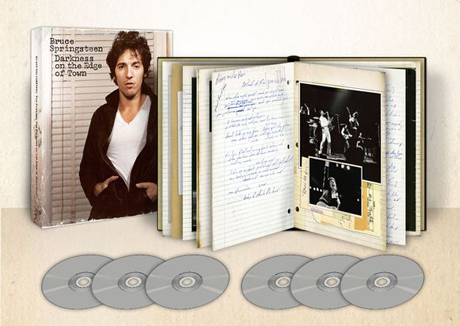 The deluxe six-disc reissue of his 1978 classic, Darkness on the Edge of Town, is set for release on November 16 and features 21 songs. Listen to 15 of the tracks, courtesy of NPR, here.